SiN Episodes: Emergence launches the new era of episodic gaming. 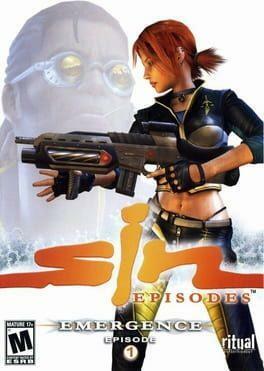 A first person shooter powered by Valve's award-winning Source technology, SiN Episodes offers unprecedented interactivity, an engrossing story, and a revolutionary dynamic difficulty system that provides a custom experience based on your skill level and play style. Intense Combat: Face off against ruthless enemies, like jetpack soldiers and mutants that evolve as you fight them. Witness enemies that adapt to your actions and truly work as a team, as they cover each other and help fallen comrades to get back on their feet.Outsmart your opponents by using your surroundings to your advantage as you set up traps using lethal elements of the environment. Location-based damage rewards accuracy while melee combat moves enable you to get up-close and personal. Personal Challenge System: Driven by one of the most elaborate statistics systems ever created, SiN Episodes will constantly adapt to your playing style and offers a challenge that is custom-tailored to your skill level. SiN Episodes: Emergence is available from 9.99 to 9.99 from 1 shops.